Displays the internal name of the linked Data-Block, which can be edited as a regular text field. If a name is already assigned, Blender will add a digit to the name like „.001“. A Data ID is a text field with an icon on the left, which opens a pop-up. Data ID is a unique name for an object. 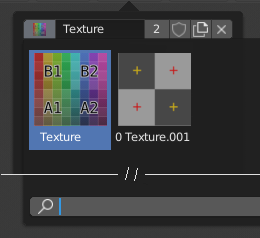 Data ID is used to refer to objects, and therefore Blender does not allow any two objects of same type to have same ID (same name). 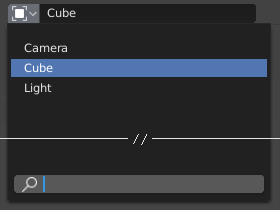 If Data ID is already in use, Blender will automatically append a number to the end to prevent ID collision (for example „Cube.001“).